We offer the newsletter software as an Enterprise and Small Business Edition. Quickly compare the range of functions and find the right edition for you. Create your newsletter with SmartSerialMail just like a traditional serial letter and send it separately to each recipient. Existing MS Outlook account settings can simply be transferred into SmartSerialMail. Even without an Outlook account you will be able to easily create an email profile within SmartSerialMail in just a few steps. Send out emails via the Exchange Web Services using your Office 365 account. Make sure email content is unaltered with an S/MIME signature. SmartSerialMail organizes your recipients into mailing lists. Various functions (e.g. a duplicate search) allow you to easily manage your recipient data. Organize any number of recipient lists and assign them to individual categories. Additional features of SmartSerialMail (e.g. excluding one list from another with just a single mouse click.) will facilitate easy management of your mailing lists. SmartSerialMail manages your dispatches automatically in the background and allows you to send as many emails as you want. If problems occur you can easily restart the mail delivery task without sending an email twice. Bypass transmission limitations of your email provider thanks to SmartSerialMail's intermittent deliveries feature. SmartSerialMail allows you to define the specific time your newsletter mailing is to be sent out. Send out your mailing whenever you want, without the need to start the software's interface. Circumvent provider limitations and define how many emails shall be sent out in a single sending task. The import wizard for recipient lists helps you insert your recipient data from various sources into new or existing lists. The trick: Once you have imported a specific recipient list, you will be able to run the same import again with just one mouse click! No matter wich format your recipient list is in, be it Excel, Outlook, Text, CSV or a database: With SmartSerialMail you will be able to import your existing customer data from several formats without having to re-enter them again manually. The Enterprise Edition enables you to update recipient lists without having to reimport them. Filter your recipient lists and send serial emails only to users that match specific criteria (e.g. a certain language). By using blacklists, SmartSerialMail is giving you the opportunity to exclude certain recipients from a newsletter mailing, without having to delete them directly from your recipient list. Employ wildcards to easily exclude e.g. all addresses of a certain domain from your recipient lists. Charts offer insight into recipients and sent emails. The integrated HTML editor helps you design professional email and newsletter templates. Work in the HTML editor and see how the email will look like or change the contents directly in the HTML source code of your template. Several predefined newsletter templates will help you design your own newsletter - free of charge, of course. The tempales' colors can be selected. A separate overview of used images makes professional work with the SmartSerialMail editor even more foolproof. With the help of the SmartSerialMail upload wizard you will be able to easily upload all images used in your newsletter to a webserver. Not only will storing the pictures on a webserver reduce the size of your emails, it will also enable you to easily track how often recipients open and read your newsletter. Add a tracking code to your links and assemble statistics by integrating tracking-software e.g. Google Analytics or Piwik. The SmartSerialMail compatibility test provides a quick overview of how your email will be displayed in all major email programs and web clients. Corrupted newsletter representations can thus be prevented in advance. Personally address each recipient of your newsletter or serial mail with their first name and surname by using placeholders. Use simple "if - then" logic and thus create "intelligent" email templates within SmartSerialMail - for instance to greet each recipient according to gender. Use placeholders and quick-parts even more flexibly: use recursive placeholders to insert quick-parts and according to a column of your recipient list - for instance the language or gender of the recipient. Employ template functions, for instance to use values of single columns of your recipient list as parameters. Create as many individual and self-defined quick-parts as you like to optimize your workflow. Frequently recurring content such as footers, addresses or ad spaces can be managed easily and efficiently. SmartSerialMail enables you to attach files to your newsletters. The integrated file compression optionally minimizes huge file attachments, thus reducing the size of your e-blast. With SmartSerialMail you will be able to create and send individualized attachments to each recipient. You can also define placeholders in the file name and send different external files to different recipients. You can optionally send your mailing with a carbon copy (cc) for each recipient. With SmartSerialMail you will be able to keep your recipient lists up-to-date by collecting undeliverable emails (bounce mails). Simply blacklist, edit, or delete email addresses from your recipient list and avoid delivery failures during your next mailing. SmartSerialMail helps you organize your recipient data. For instance it enables you to collect registrations in a new email list or delete revoked subscriptions directly from your recipient lists. With SmartSerialMail it is up to you to decide how to handle your newsletter subscriptions and cancellations. Read specific information in a subscription email's content and automatically add them to your recipient lists. 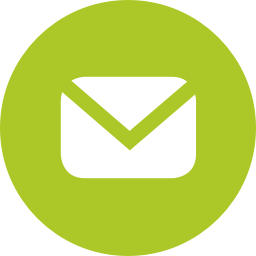 Enter a subscription address in the text of your subscription email and connect SmartSerialMail to your double-opt-in-process. By using the preview function of SmartSerialMail, you will quickly get an impression of how your newsletter will look before sending it out. Many informative newsletters never reach their recipient, because they are falsely classified as spam and end in the junk mailbox. With the SmartSerialMail spam report you will see an evaluation whether your current newsletter content will be marked as spam. SmartSerialMail enables you to work simultaneously on several workstations and the same database at the same time. Provide parallel access to customer mailings and let your marketing team work on different parts of your newsletter, optimizing your general workflow. By using a Microsoft SQL database's connectivity you can increase your team's performance even more. Change the location of your database within your system.